The Area ★★★★ Directed by David Schalliol. 93 min. Schalliol and Deborah Payne attend the screening. Thu 8/23, 8:30 PM. Chi-Town ★★★ Directed by Nick Budabin. 82 min. Budabin attends the screenings. Fri 8/10, 8:30 PM, and Mon 8/13, 8 PM. The G Force ★★ Directed by Pamela Sherrod Anderson. 58 min. Anderson attends the screenings. Sun 8/12, 3 PM, and Tue 8/14, 6 PM. BLACK HARVEST FILM FESTIVAL. Sat 8/4-Thu 8/30. Gene Siskel Film Center, 164 N. State, 312-846-2800, siskelfilmcenter.org, $11, festival passes $55 (excluding opening and closing nights). Images carry more weight than ever these days, and their viral proliferation can crowd out other realities. A relentless news cycle of taped-off crime scenes, memorial shrines, and survivors mourning gun victims can, by sheer accretion, become the media shorthand for a community at risk. Chicago's south and west sides have been plagued by this as high murder rates have come to define their neighborhoods to outsiders. But this year's 24th annual Black Harvest Film Festival, which runs through August at Gene Siskel Film Center, includes three Chicago-based documentaries that buck the media narrative, focusing on vibrant, determined, civic-minded personalities. David Schalliol's The Area (93 min.) is an eye-opening saga of resistance in Englewood's 20th Ward to a land grab by the Norfolk Southern Railway, which after the housing market crash in 2008 quietly began buying and demolishing homes to expand its 47th Street intermodal shipping yard. Over five years the indefatigable activist Deborah Payne, galvanized by the steady decimation of her beloved neighborhood at 57th Street and Normal, rallies other residents to oppose the railway and protest the city’s disinterest in homeowners, who are being offered only fair-market value for their properties amid a historic plunge in housing prices. 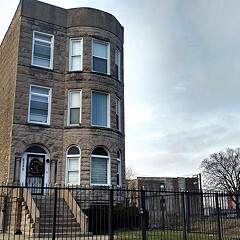 After the City Council—including the two-timing 20th Ward alderman, Willie Cochran—votes to sell off 105 vacant city lots to the railroad, Payne (who's listed in the credits as a producer) turns to preserving the quality of life on the occupied blocks. 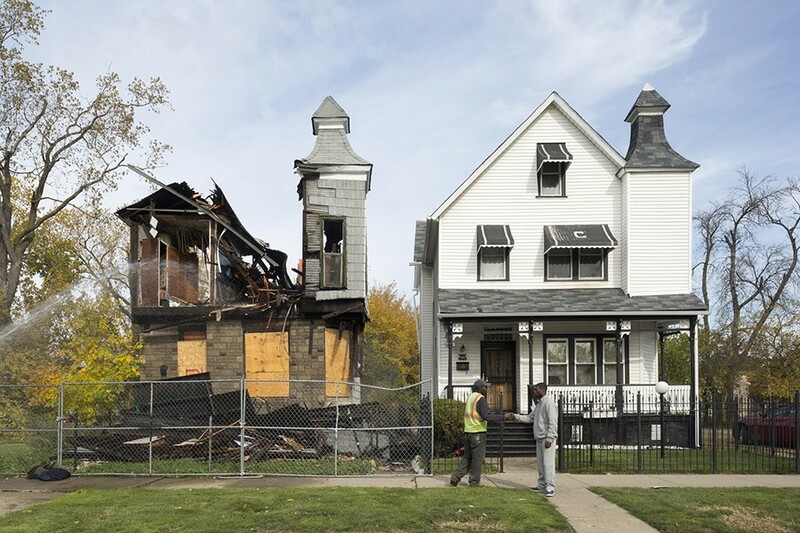 As a PhD candidate in sociology at University of Chicago, Schalliol worked on a project to document demolitions; walking neighborhoods that were threatened by redevelopment, he got to know the residents. 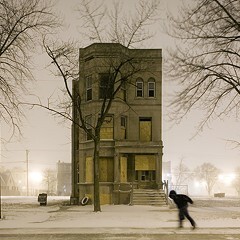 His research has fed not only The Area but also a 2014 book, Isolated Building Studies, and a blog, Sociolography, on which he ponders the tensions between urban growth and economic disparity, between might and blight. The Area shows him to be both a gifted architectural photographer and an empathetic portraitist. He has an appreciative eye for the proportions and lines of Englewood structures, some of them a century old, and there are breathtaking shots of trees silhouetted by fireworks in a velvety night sky. The interviews are poignant, especially Schalliol's encounter with Larry Parks, one of the last holdouts, who hung on to his family's home as long as possible so his Alzheimer's-afflicted mother could die there. More strong women propel Pamela Sherrod Anderson's The G Force, about seniors who step up as primary caregivers for their grandchildren after their children fall prey to mental illness, addiction, domestic violence, incarceration, or sudden death. Ellen Robinson of Chatham rears her teenage grandson, Patrick, with the help of Chicago police officer Denny Perdue, who has steered the boy into swimming and boxing. Georgeanne Fischetti of Lincoln Park took charge of her granddaughter Martha during the girl's infancy, became her guardian a year later, and eventually adopted her at the child's request. This warm, uplifting documentary also introduces the Second Chance Grandparents Writing Group, which offers a creative outlet to stressed caregivers. Chi-Town (82 min.) follows the thoughtful, resolute, and charming young basketball hopeful Keifer Sykes from his last year in high school to his four stellar years as a point guard at the University of Wisconsin-Green Bay to his postgraduate pursuit of a professional basketball career. Nick Budabin, a show runner at Vice Media, was in Chicago in 2011, producing a documentary about Oprah Winfrey, when he met Sykes, then a senior varsity player for John Marshall Metropolitan High School in East Garfield Park. Budabin decided he'd found an ideal documentary subject, whereas Sykes was enthusiastic at the idea of emulating Arthur Agee, one of the protagonists of Steve James's Hoop Dreams (1994), who had also played for Marshall. 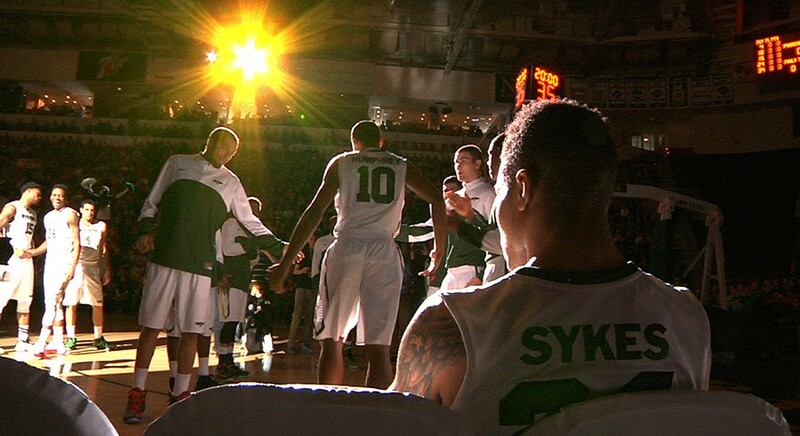 Sykes admits at the top of the film that the odds of his making the NBA aren't in his favor. The moment reveals what the rest of the documentary reinforces: his emotions inform his personality but don't rule him. This is a grounded young man—focused, dedicated, patient, logical, and concerned for others. Sykes needs all those qualities to succeed, because for all his skills on the court, he stands only five foot 11 inches tall. "I want to meet people, understand a place, make connections, and produce work that has meaning and effect."